Last night I attended my first holiday event of the season and what a lovely introduction it was! 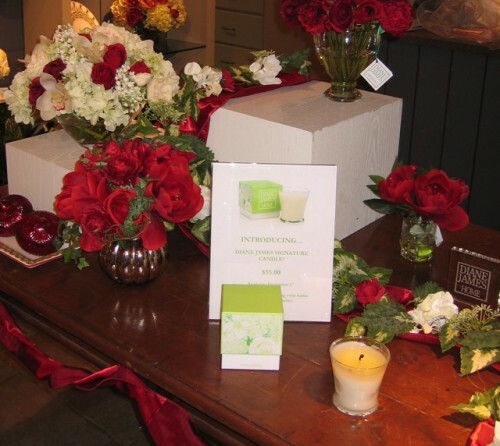 Held at Nielsen’s Florist in Darien, CT, the event was co-hosted by the luxury publication Connecticut Cottages & Gardens. Nielsen’s, a third generation family-run business since 1944 is still in its original location and offers many services from traditional floral offerings to special events in its fabulous conservatory. The shop was transformed into an elegant winter wonderland featuring the silk floral arrangements of Diane James, Simon Pearce glassware and Home James! dinnerware. 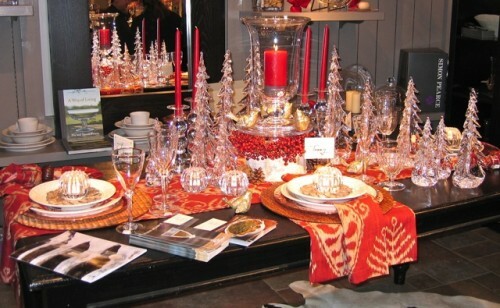 There were several lovely tablescapes and many appealing ideas for holiday decorating. But perhaps best of all, I had the opportunity to meet two online blogger friends, Sue De Chiara of The Zhush and Carolyn McDonough of Diane James’ The Buzz. For those of you who might not know, Diane James is also a family business that, since 1997 when the collection was launched at Bergdorfs, has produced what are widely considered some of the most exquisite faux floral arrangements and orchids in the industry. Many top designers, including Michael Smith and Barbara Barry depend on Diane James’ hand-made creations to augment their designs. Take a look at a few of the beautiful examples that were featured at the party. 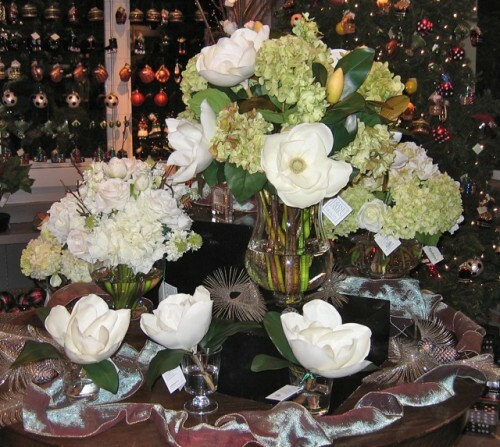 I’ve always wanted to do an all white Christmas and these magnolia, hydrangea and rose combinations would be perfect. Or perhaps you prefer this colorful arrangement of lilies accompanying one of the evening’s fun giveaways. or these classic red and white roses alongside Diane James’ new signature candle with packaging that features the illustration of well known blogger and talented artist Patricia van Essche. Simon Pearce brought many of their classic patterns which make wonderful gifts. 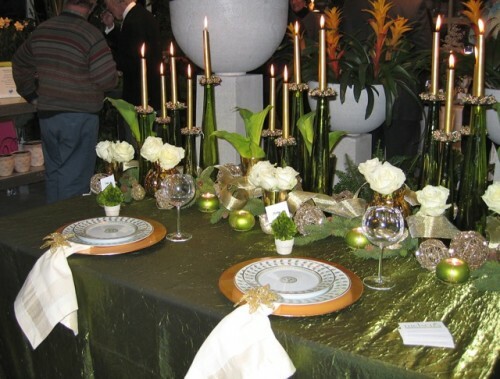 This glittering tabletop was so festive with the glassmaker’s distinctive designs including their stunning handblown Vermont Evergreens. 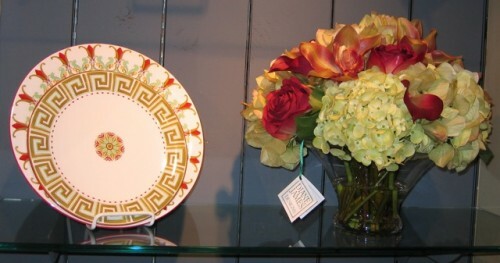 Home James!, the East Hampton contemporary collection of china, crystal and linens brought their Grand Tour dinnerware pattern, which in the red and green colorway, complemented the holiday floral arrangements beautifully. All in all, a lovely evening was had by all and it made me realize that I need to start thinking about my holiday plans! This entry posted in design, entertainment, garden, holiday, interior design. Entry Tags: Diane James, Home James!, Nielsen Florists, Simon Pearce, The Buzz Blog, The Zhush Bookmark the permalink. All our people! Zush, Pve, Diane James! 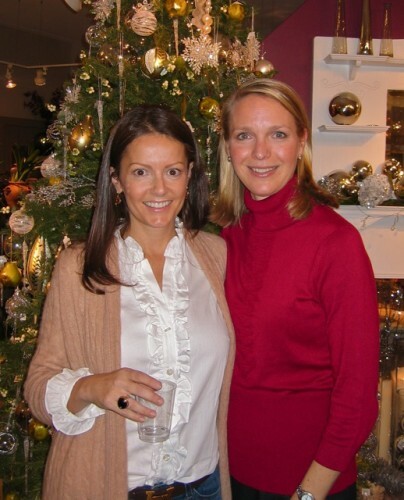 Hi Liz – yes, very fun evening!! It was such fun to finally meet you in person after “knowing” you online all these months! Thank you for the beautiful pictures and fantastic description of the first of many memorable evenings we hope to share with you in the years to come. So great to meet you too – hope to see you soon! The best is to finally see the pretty face behind the blog here! Sue – ditto for me!! Hope to see you soon! Oh, I wish I could have been there! I’m definitely ready to kick off the holidays and love every arrangement by Diane James. Though as a Southerner, I am swooning over the magnolias! And, how can you miss with Sue, Carolyn and PVE! So glad you posted this…I kind of feel I was there! Elizabeth – Wish you could have been there too – hope to meet you soon! What a wonderful evening you must have had…and meeting the faces of so many of my favorite bloggers…thrilling!! 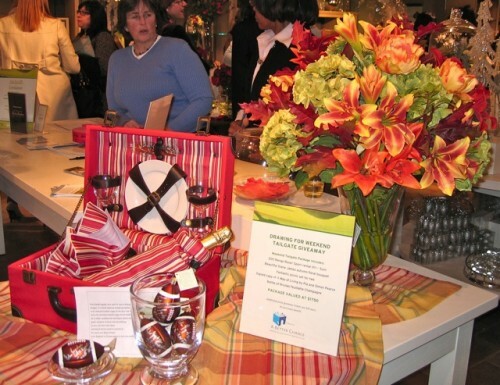 mydesignchic – glad you were able to visit with us vicariously! Great photos. I have yet to have even a single thought about the Holidays–except I have finished shopping. So thank you for the little push. Where do I find those wonderful white owls? They are the perfect detail for a different type of decorating. Thanks. Mary – I’m impressed that you’ve finished shopping – you’re way ahead of me! As for the white owls – you can call Nielsen’s directly 203 655 2541. I’m sure they would be happy to ship to you. And don’t forget to mention you saw them here! Hi Marsha – glad you enjoyed! maybe sometime you’ll be able to come up and meet us all! I have been meaning to tell you that I have been folowing your blog for a short time now and really enjoy your posts. Your post today has put me in the Xmas mood and how lovely to see the gorgeous work of Diane James too. Thank you for following! The party put me in the mood too – just started some shopping today! 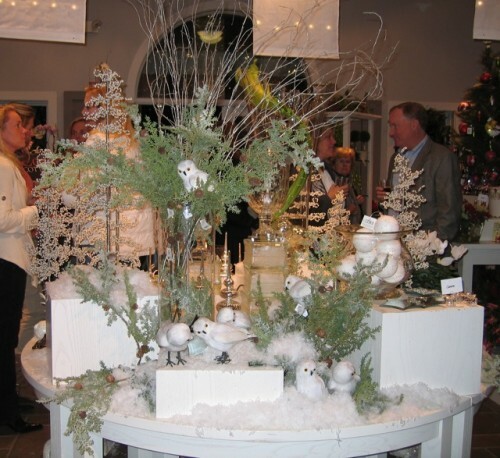 And Diane James’ holiday flowers and arrangements are indeed beautiful! Hi Kathsue – yes, everything was beautiful – the real and the silk florals! Will have to stop by to see your ideas. Hi Kate – Now I love her too! Come visit again! I left too soon for AZ. I wish I could have gone to the event. I have been a great admirer of Diane James Design for years. I have many of Diane’s arrangements but always love to see their new ideas. Their flowers are the most realistic I have ever seen and they last! Hi Pat – totally agree – their work is just beautiful! Sorry you couldn’t join us. 82 queries in 0.795 seconds.